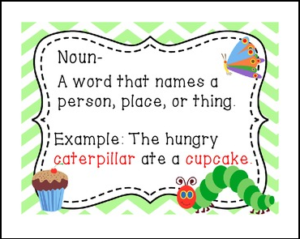 Included are posters in the theme of The Hungry Caterpillar to teach different parts of speech. This is a free download from Mr and Mrs. If you like this, be sure to check our store for other great products. Looking for a fun and engaging way to teach the parts of speech? Or 20 different word work activities to do with any word list!